In our modern times, more and more young adults are trying to make the most of modern work practices and skill sets to leave their hometown. With this in mind, the desire the move their professional career and establish a healthy work/ life balance, Millennials are ready to move to a new area to find the best possible solution to their needs. Contrary to the previous generation, Millennials are looking for both a satisfying career and a happy lifestyle. While they are hard workers and dedicated to the task, contrary to the previous generation in the workplace, they want to have the time to see their family and friends and to build a solid social circle. In short, they are hard to please when it comes to making the right career move. As a result, moving is a natural consequence. However, many have made the move abroad, in an attempt to turn day-to-day experiences of their country and culture into an asset abroad. It’s not uncommon to find US citizens in large cosmopolitan cities around the world, starting from English-speaking metropoles like London. But the most adventurous Millennials are ready to start their new life – socially and professionally – in a new country to ensure that they can get the best possible value for their skills and expectations. Indeed, the key to a successful move abroad is not only to find a country you love, but also to measure positive gains in your lifestyle and career. If you move to be worse off, then it wasn’t worth the expat life. One of the countries that currently offers plenty of advantages in the domains of lifestyle improvements and professional opportunities is Spain. If you’re looking for a fresh new start in a welcoming and healthy environment, España has got just the thing you need! There is no denying that starting life as a young professional can be challenging, especially if you’re struggling with high living costs and low pay. Life in Spain is often described as being on the simplistic side, but there is a major advantage that comes with it: You will find that for the same monthly costs you can make a better life in Spain than you do in the USA. Compared to your monthly expenses in the US, you will find that Spain can be up to 65% cheaper in terms of car, grocery shopping, travel, medical insurance, telecoms, and housing. 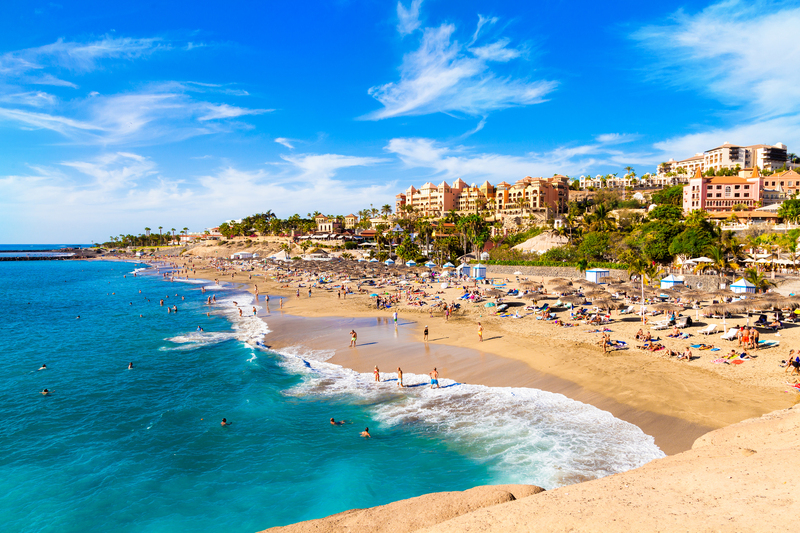 Additionally, when compared to other European countries, Spain has some of the lowest living costs, alongside with Portugal, making both southern countries a fantastic expat destination. 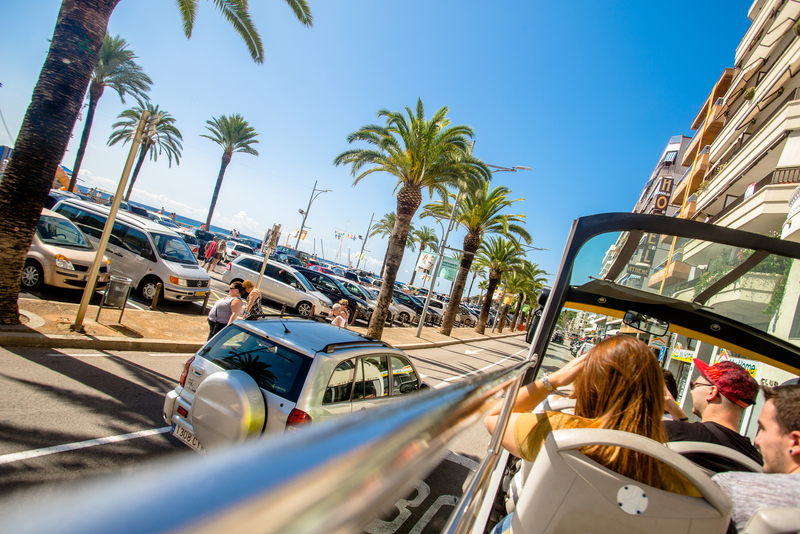 Ultimately, taking your savings and moving to Spain is a smart move is you want to make the most of your money! However, you need to be careful not to overspend, as it can be tempting to buy more when everything appears to be so affordable. Ultimately, while you ’ll be spending a little bit over ? of your American budget, it’s crucial that you look for effective saving and investment strategies. You can then secure a capital that will help you to finance your next move – back home maybe or into the countryside – or to ensure comfort in your old days. If you’re looking for long and happy life, don’t look any further: Spain is the answer to your queries. Indeed, the Spanish population has the highest life expectancy across Europe and beats Australia, Canada, Norway and even the USA too. The traditional Mediterranean diet, which is rich in fish, olive oil and vegetables, is often named as the main reason for the population’s long and healthy life in Spain. It’s true that it’s you spend some time in Spain, you’ll rapidly notice that their diet is very different to the typical American diet. For a start, there are very few dessert options in Spanish restaurants, as more often than not, people prefer to stick to the yummy tapas and conclude the meal with a black coffee. In fact, Spain has the third lowest level of years of life lost to heart disease or cancer, and it’s likely that the combination of a healthy diet and outdoors lifestyle has something to do with it. Additionally, you will also find that the Spanish healthcare system ranks among the top 10 in the world, meaning that the skills of doctors, the state of the medical infrastructures and the state of health of the patients are some of the best in the world. If you’re making the most of the digital technology to create a remote career, you probably want to choose the best possible place to work and live. For digital nomads and freelancers, the world is just one big place to explore. But there are plenty of very good reasons why you should stop in Spain for your creative career. First of all, Spain has some of the lowest living costs in the western world, making it easy for freelancers who are still building their business to enjoy a fulfilling lifestyle on a low budget. Additionally, the weather in Spain is absolutely glorious; and if you come from a northern state, you’ll love the quality of light and wildlife around you. You can even have a stroll on the beach to put yourself in a creative mood before you start work. Can there be anything more satisfying than living in a creatively inspiring environment? You will also love the slow pace of life, making it easier for people in a stressful position – as digital nomads know well – to relax and let go of their worries. Take your time, Spain is the country of the siesta for a very good reason: Your sanity is more precious than work. It’s a valuable lesson too often forgotten in other countries. Moving to a new destination can be stressful as you need to inform all the relevant authorities of your new address, from your bank to your insurers. When you move abroad, it can seem impossible at first to navigate the deep waters of foreign authorities. Before considering the formalities of settlements, you need to consider what you need to be legally allowed to make your life in a foreign country. If you’ve never traveled abroad before, this would be your first time demanding a visa to be allowed to stay for an undefined period of time in a new country. For those who chose to enroll in a local company, you can find it easier to get a permanent resident status – with or without an expiration date. For others, you might need to check the options available to apply for Spanish citizenship after a few years’ time. But these are long-term commitments. First of all, you’ll need to find out how to handle your taxes, finances, housing and career matters. Who do you need to inform? How are the authorities called here? What documents do you need? There are a lot of questions that you may not be able to answer as a newcomer. But thankfully, life in Spain as an expat can be facilitated by dedicated institutions, Asesoria-alicante.es can help you get legally settled for instance. You need experts to guide you through these steps. If you’re an aspiring entrepreneur or someone who is looking to expand their company in Spain before making the move, you’ll be pleased to know that the startup’s scene is growing in Spain. Companies that promise to deliver cutting-edge technology and vision have attracted plenty of business funding to bring their commercially-viable businesses to life. Currently, the Spanish Silicon Valley is divided into two hubs, around Madrid and Barcelona, where most businesses are established. These hubs have received investments from all around the world, including the Eu but also from America and Asia, making them attracting regions for entrepreneurs. All together, the investment in tech startups in Spain has grown by 45% last year. If you’re looking to attract talented professionals to your tech company, Barcelona and Madrid are competing for a global startup’s rank. Needless to say that entrepreneurs will appreciate the competitive factors. When you register your startup in the EU, you become eligible to receive EU funds and support to establish your company. Admittedly, fundings are available on application, and they are not always easy to obtain, but you won’t be able to find that level of interest-free investments elsewhere in the world. Additionally, a startup in Spain allows you to enter the EU market, which is the first trading bloc in the world. When you trade as part of the EU, you can reach 27 countries – 28 counting the UK, but due to Brexit uncertainties it’s best to count it out for now – and to benefit from all international trade agreements negotiated by the EU on behalf of all its members. In short, you can relax: The EU is making all the hard work for you. Spain is not only an incredibly healthy and sunny country, but it’s also the ideal place to start a new company, as you can not only benefit from European funding schemes but also from the EU trade market to grow your business.